Very Good. 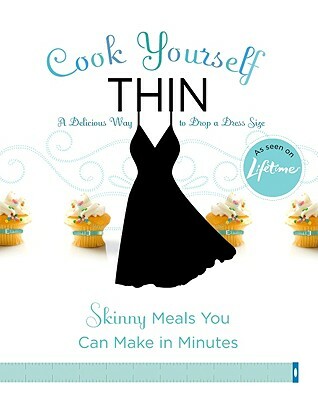 Cook Yourself Thin: Skinny Meals You Can Make in Minutes (Voice) by Lifetime Television, 2009-04-25. Trade paperback (US). Glued binding. 234 p. Contains: Illustrations, color. Voice. New. Trade paperback (US). Glued binding. 234 p. Contains: Illustrations, color. Voice. Fun and easy recipes to help with a much needed lifestyle change. The book is in excellent condition and arrived promptly. Thanks! This little book of recipes has given me a whole new perspective on cooking and eating. My husband and I have never had so much to eat...loved all the food...and still lost weight. You will learn how cook yourself thin and love it! im so happy with this book will recommended to my friends.